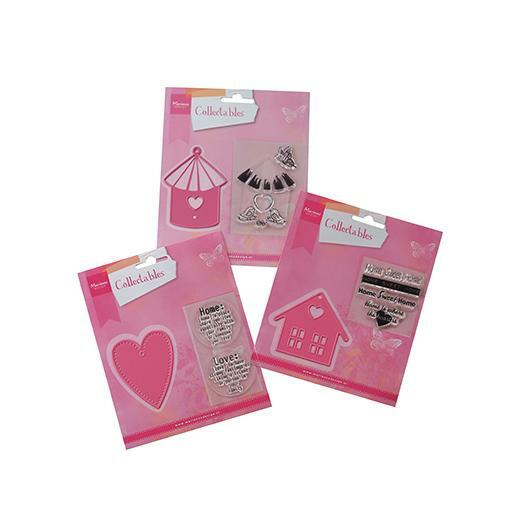 Add to your papercrafting resources with this value pack of cutting dies from Marianne Design. COL1310 This die set consists of one die and two clear stamps. The birdhouse die measures approximately 60mm x 78mm. COL1333 This die set consists of one die and four coordinating clear stamps. The chalet die measures approximately 55mm x 50mm. COL1334 This die set consists of one die and two coordinating clear stamps. The heart die measures approximately 55mm x 68mm.